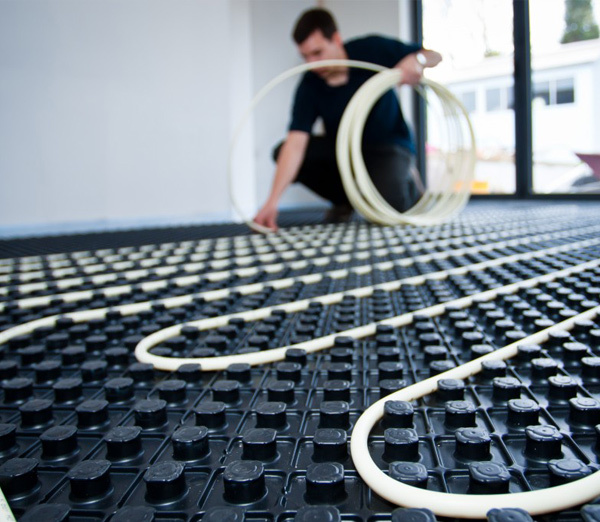 Underfloor Heating systems are becoming the most popular form of heating within buildings. UFH systems provide extra space and evenly distributed heat when compared to traditional radiators. UFH helps provide cleaner air by reducing the circulation of dust and bacteria caused by convection currents. Underfloor heating provide increased heating efficiency. Underfloor heating run at much lower temperatures than other heating systems due to the increased surface of the heat output area, this works well in combination with efficient condensing boilers, heat pumps and other energy efficient heat sources. Our range have been specifically designed with efficiency at the forefront. Our systems versatility allow for installations across inconsistent floor heights and can be built up in a batten system for under floor appliances or wiring. Our range are suitable for both large commercial properties to smaller domestic projects, this is due to the systems modularity. No matter what project, our design team will ensure an effective heating plan.